Salads are a staple around our kitchen – we eat a lot of greens. Spinach, kale, dandelion greens (when in the yard), Romaine, leaf – you name it we’ve made a salad with it. And, of course you can make a salad as boring or as interesting as you want. Tomatoes, cukes, scallions, onion, sweet peppers, olives, carrots, celery – the garden is your oyster! For me, what really makes the salad is the dressing. 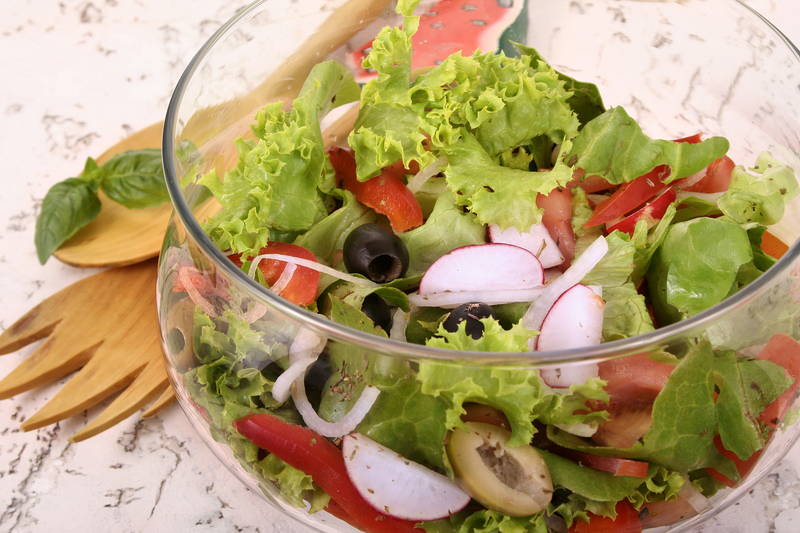 Salad without dressing is like a song without music. I gather dressing recipes and have tried many. A couple of “asides” – I never refrigerate dressings with oil; I make my own Tarragon vinegar; I use only Celtic sea salt and coarsely ground black pepper; I never use refined white sugar – NEVER; I use only good extra virgin olive oil (EVOO); and, I normally only make enough for 4-5 servings. Today, I am going to share four of my favorites – I hope you like them as much as we do. In a clean, small jar: vinegar, garlic, mustard, and mix well. Slowly add the oil while whisking or stirring with a fork. Add the parsley and thyme, salt & pepper, taste and adjust seasonings. Enjoy! Place all ingredients in a small jar with lid and shake and serve! Enjoy! Mix, shake well, do not refrigerate. Enjoy! Mix everything BUT the vinegar, shake well, add vinegar, shake it up. Enjoy! Enough for 12 servings. More dressings will be posted in the near future – right now I have my eye on and my taste buds salivating for a creamy lemon dressing I found today! Stay tuned! yummy!! can i move in with you?!?! Problem is we only have one bathroom!!!!!!!!!!!! But lots of lettuce. LOL!! !